Health care has long put Pittsburgh on the map beginning in 1954, when the first Polio Vaccine was created by Jonas Salk at the University of Pittsburgh. Today, Pittsburgh remains on the map as home to some of the best hospitals in the country. UPMC is committed to providing expert medical care to patients from throughout the region and around the world, and to developing innovative solutions that will transform medicine through clinical and technological innovation, research, and education. From high-caliber staff and groundbreaking discoveries and treatments, to a health insurance subsidiary and tradition of educating the next generation of medical professionals, UPMC is a true leader in the health care field. Consistently recognized for excellence, UPMC hospitals are ranked among the nation’s premier hospitals by organizations such as U.S. News & World Report, which has repeatedly named UPMC Presbyterian Shadyside to its prestigious Honor Roll of America’s Best Hospitals. In addition, 500 UPMC physicians are featured in lists of the region’s best doctors in recognition of their outstanding care to patients. And, six UPMC hospitals have achieved prestigious Magnet® designation for nursing excellence, an honor achieved by just 6.8 percent of hospitals nationwide. As a world-renowned health care provider and insurer, UPMC offers patients innovations developed through research in collaboration with the University of Pittsburgh, which is consistently a top recipient of funding by the National Institutes of Health. The impact of many of UPMC’s clinical innovations can be seen in the delivery of health care worldwide. UPMC is the nation’s second largest provider-owned health insurer and the largest health insurer in Western Pennsylvania, with more than 3.4 million members. J.D. Power has consistently recognized UPMC Health Plan for the highest member satisfaction among commercial health plans in Pennsylvania. To ensure patient access to the most innovative treatments, UPMC is investing $2 billion to build three new specialty hospitals that will offer next-generation treatments in patient-focused, technology-enhanced settings unique to health care. These hospitals will focus on cutting-edge care for cancer, heart disease, transplantation, diseases of aging, vision restoration, and rehabilitation. Each year, more than 30,000 patients travel from throughout the U.S. to UPMC for medical care. And with facilities in 12 countries on four continents, UPMC has one of the largest international footprints of any U.S.-based center. Cancer Care: UPMC Hillman Cancer Center treats both common and rare cancers through 14 specialized cancer programs available to patients at more than 60 locations, making it one of the largest networks of its type in the country. It is Western Pennsylvania’s only Comprehensive Cancer Center, as designated by the National Cancer Institute. Cardiac Care: The UPMC Heart and Vascular Institute team works collaboratively to develop the best treatment plans for even the most complex heart and vascular conditions. UPMC has developed a number of revolutionary medical devices to improve the lives of patients with challenging problems such as atrial fibrillation and heart failure. Neurosurgery: As the largest academic neurosurgery department in the nation, UPMC has led the way with many innovative, minimally invasive brain and spine surgical procedures. Patients travel from around the world to access UPMC’s subspecialists for highly complex and rare neurosurgical conditions. Orthopaedic Surgery and Sports Medicine: Nationally recognized for excellence in orthopaedic surgery and sports medicine, UPMC offers expert care for the full array of musculoskeletal and sports injuries and conditions. It is the long-time official sports medicine provider for Pittsburgh’s premier sports teams, including the Pittsburgh Steelers, as well as the University of Pittsburgh Panthers and the Pittsburgh Penguins®. Pediatric Care: Nationally and internationally renowned for excellence in pediatric care, UPMC Children’s Hospital of Pittsburgh provides comprehensive, family-centered care and is a leading center for specialized treatment of many complex and life-threatening conditions, including pediatric transplants. Trauma: UPMC houses the largest trauma program in Pennsylvania, treating more than 12,000 patients with traumatic injuries each year. The program is backed by some of the nation’s leading researchers in trauma care, who have been influential in developing life- and limb-saving protocols that have been adopted nationally. Transplantation: Since 1981, UPMC has performed 20,000 organ transplants, and has been internationally recognized for its far-reaching influence in this field. More recently, UPMC has become a national leader in innovative approaches, such as living-donor transplants, which offer greater hope for patients in need of a kidney or liver transplant. Women’s Health: UPMC Magee-Womens Hospital is a premier center for women’s health, offering services ranging from routine obstetrics and gynecology visits to highly specialized maternal-fetal medicine and women’s cancer treatment. Each year, more than 11,000 babies are delivered at Magee-Womens Hospital. UPMC’s other nationally known clinical programs include psychiatry, rehabilitation, geriatrics, and pulmonology. UPMC Senior Communities, which offers older adults independent retirement, personal care, assisted living, and skilled nursing and rehabilitation options. UPMC Home Healthcare, which integrates home health and hospice, bringing comprehensive nursing and rehabilitation services to 40,000 individuals. Community contributions of nearly $1 billion in 2017, to address a wide range of community health needs. Fulfillment of its $100 million pledge to the Pittsburgh Promise college scholarship program for urban youth. A champion of innovation and change at all levels of care and service, UPMC strives to transform health care through quality, ideas, and solutions. By fusing science, technology, and medicine, UPMC is inventing new models of accountable, cost-efficient, and patient-centered care. Each year, the hospitals of Allegheny Health Network together admit nearly 90,000 patients, logs nearly 300,000 emergency room visits and deliver 7,500 babies; and its physicians perform more than 100,000 surgical procedures. Anchored by nationally and internationally recognized clinical and research programs in the areas of bone and joint care, sports medicine, cardiovascular disease, neurosurgery and neurology, women’s health, cancer, emergency medicine, bariatric and metabolic disease, Allegheny Health Network provides a complete spectrum of advanced diagnostic, medical and surgical care across all medical specialties, including primary care, trauma and burn care, general surgery, diabetes, autoimmune diseases, critical care, digestive diseases, men’s health/urology, lung and esophageal diseases and rehabilitation services. Allegheny Health Network’s Cancer Institute provides advanced, multi-disciplinary care for the treatment of all cancers, including brain, breast, colon and rectal, head and neck, lung, liver, ovarian, cervical, prostate and blood/hematologic cancers. The program reaches patients at more than 50 clinic locations throughout Western PA and employs more than 150 oncologists. The Institute is also home to one of Pennsylvania’s largest bone marrow and cell transplant programs and has a formal affiliation with the Johns Hopkins Kimmel Comprehensive Cancer Center for clinical collaborations, medical education and a broad range of cancer research initiatives. Allegheny Health Network’s sports medicine program is the official medical provider of the Pittsburgh Pirates professional baseball team, the Pittsburgh Riverhounds soccer team, Gannon University and 19 Pittsburgh area high schools. The Network also is one of just a handful in the country designated as a national US Olympic Regional Medical Center. Allegheny Health Network also plays a pivotal role in the training of future generations of healthcare professionals by offering 46 graduate medical programs, three medical school affiliations and two nursing schools. The Network’s hospitals serve as clinical campuses for the medical schools of Drexel University, Temple University and the Lake Erie College of Osteopathic Medicine (LECOM). Nearly 250 students are enrolled each year in nursing programs at the West Penn Hospital School of Nursing and the Citizens School of Nursing in Natrona Heights, and more than 500 medical residents and fellows receive advanced training on staff at the Network’s hospitals. Physicians and scientists at Allegheny Health Network are often on the cutting edge of advanced treatments and new technologies. Innovative medical research across all of the Network’s programs is a critical component of the organization’s mission. The Network’s Research Institute coordinates private and federally funded interdisciplinary programs designed to better understand, treat and prevent disease, and the Network’s hospitals are frequently involved in clinical trials of breast, prostate and bowel cancer, burn and traumatic injuries, gene therapy, cardiovascular disease, leukemia and lymphoma, autoimmune diseases, neurological diseases, and more. The Network is currently home to more than 300 active clinical research trials. Since it’s beginning in 1906, Ohio Valley General Hospital has nurtured a commitment to provide the community with a personalized approach to quality health care. This dedication has established the foundation for the Hospital to grow and meet the community’s health care needs with expanded services, new programs, and advanced technology and education. Ohio Valley General Hospital ranks among the very best in the country, according to the Joint Commission on Accreditation of Health Care Organizations. Ohio Valley has the area’s best and brightest medical minds, with nearly 200 physicians in 26 medical specialties and a full range of advanced diagnostic tools and treatments. It’s clear that one of the best hospitals in the city isn’t in the city, it’s right here, at Ohio Valley General. A hospital that has served the people of Pittsburgh’s western suburbs and airport area for nearly 100 years makes patient satisfaction their main priority and has also been consistently awarded Avatar International’s Exceeding Patient Expectation Award. Ohio Valley General Hospital is a 138-bed, not-for-profit hospital, located in Kennedy Township, near the intersection of I-79 and Route 60. St. Clair Hospital in Upper St. Clair is an acute-care facility that provides advanced, high-quality health care to more than 400,000 residents of southwestern Pennsylvania. With 525 physicians and more than 2,000 employees, St. Clair Hospital is the largest employer in Pittsburgh’s South Hills and is the only Pittsburgh-area hospital to be named one of the 100 Best Places to Work in Pennsylvania for six consecutive years. St. Clair offers virtually every healthcare service residents may need throughout their lives, and continually enhances its services and technologies to meet the community’s health needs. The hospital’s array of inpatient and outpatient services is nothing short of comprehensive and includes advanced cardiovascular services; specialized care for women, children and infants; diabetes treatment; oncology services; emergency care; general surgery services; behavioral health services; and pulmonary care. Physicians at St. Clair Hospital use the most sophisticated imaging and diagnostic equipment available to assure that patients receive the fastest and most accurate readings, to determine their conditions, and to plot a course of treatment. From PET Scanning to CT Scanning to Nuclear Medicine and Ultrasound, the hospital’s Medical Imaging Services offers the most advanced technologies to save lives and provide superior medical care. Complementing the services at its main campus in Mt. Lebanon, the hospital offers healthcare services at three outpatient centers, including a diagnostic center located in Bethel Park. A new medical office building and outpatient center is now open in Peters Township also. St. Clair Hospital is home to the region’s largest Emergency Department visited by nearly 60,000 patients each year. To accommodate the growing needs of the community in this regard, the hospital recently completed a $13.5-million expansion of the department to increase capacity to 80,000 visitors per year. The 30,000-square-foot department features state-of-the-art monitoring and imaging equipment. From diagnosis and treatment to rehabilitation and wellness, St. Clair Hospital offers a full range of cardiac-care services. Its highly skilled professionals have helped the hospital to achieve industry-leading treatment times for heart attack victims arriving at its Emergency Department and have achieved better outcomes than some of the most recognized hospitals in the United States. The American College of Surgeons Commission on Cancer has accredited the Cancer Care Center at St. Clair Hospital as a Comprehensive Community Cancer Center with Commendation, the highest rating a community hospital can achieve. Since its inception, St. Clair Hospital’s cancer program has demonstrated impressive survival rates. The relative five year survival rate for patients diagnosed with invasive cancer — for six of the most common cancers– exceeds national and state averages. To complement its inpatient services, a highly skilled team of board-certified physicians, registered nurses, physical therapists, technologists and technicians provide compassionate, personalized care for a wide range of outpatient medical services. The Women and Children Services provides comprehensive health care for women of all ages and children from birth through adolescence. Women and Children Services comprise the Family Birth Center, the Lactation Center, Gynecology, the Pediatric Unit, including 24-hour Pediatrician coverage, and an extensive community, health-education department. Heritage Valley Health System is an integrated delivery network providing comprehensive health care for residents of Allegheny, Beaver, Butler and Lawrence counties, in Pennsylvania; eastern Ohio; and the panhandle of West Virginia. In partnership with 3,500 employees and more than 480 physicians, Heritage Valley offers a broad range of medical, surgical and diagnostic services at its two hospitals, Heritage Valley Sewickley and Heritage Valley Beaver; in 60 physician offices; and 18 community satellite facilities. Heritage Valley Health System stands out among health care systems because of the strength, stability and dedication to the communities it serves. The decision making of Heritage Valley centers on, and measures, its achievements based on the impact its services have on neighbors, families and friends. For more information about Heritage Valley Health System, please visit www.heritagevalley.org. Butler Health System , a community health system, provides healthcare services in locations throughout Western Pennsylvania. Its doctors, nurses, and other healthcare professionals are personally invested in the community and focus on providing individualized care for every patient treated there. The Butler Health System sees itself as neighbors taking care of neighbors for the benefit of the whole community. To serve the community’s needs, BHS conducts annual Community Health Assessment surveys, the results of which help determine ways to improve the community’s health through new services and education programs. The centerpiece of the Butler Health System is Butler Memorial Hospital, founded in Butler County, Pennsylvania in 1898. The hospital currently has 1,700 employees who provide a variety of services to help individuals and families manage and maintain their health. The Heart & Vascular Center of Butler Memorial Hospital was named the topCardiovascular Surgery Program in the State of Pennsylvania and among the top 5 percent in the nation. At the same time, the center received the top rating of all cardiovascular surgery programs in the state of Pennsylvania by HealthGrades, the nation’s leading healthcare quality assessment company. Butler Memorial has received 5-star ratings in cardiac bypass surgery for several years by HealthGrades, but this is the first time the hospital received the “Best in the State” designation. Elsewhere, the Washington Hospital Health System in Washington, Pennsylvania provides sophisticated healthcare services — including open-heart surgery and spine surgery — that are available to people throughout Washington and Greene Counties. For the last 30 years, the hospital has been the largest employer in Washington County and employs about 1,900 people. If you take into account those employed in the hospital’s affiliate organizations and physician practices, that total approaches 2,300. “We are a significant economic engine for Washington County and most of our employees live within a ten- to-20-mile radius of the hospital,” says Gary B. Weinstein, President and CEO. “We have a payroll of more than $100 million, and that money goes back into the community. And we buy supplies in this area, which adds to our economic impact.” He adds that the hospital brings in dollars from the federal government and the state of Pennsylvania. “About 70 percent of our patients are covered by Medicare or Medicaid. Again, that’s money coming in from the federal or state governments that supports this area. Weinstein sees the mission of the hospital more broadly than taking care of patients in beds, but rather as promoting the overall health of the community. As a non-profit institution, Washington Hospital provides a number of services subsidized by philanthropy or by the services themselves. Its Teen Outreach Program helps young people in the community avoid unwanted pregnancies by dealing with young men, single parents, and by focusing on teens, their health, and the health of their children. All of which enables young people in the community to avoid unwanted pregnancies. Additionally, the hospital makes available other programs for the community that don’t pay for themselves, such as diabetes and mammography screenings for people who lack health insurance. Washington Hospital provides a variety of affiliated services such as the Wilfred R. Cameron Wellness Center, a medically based fitness and wellness center open seven days a week from 5 a.m. to 10 p.m. with abbreviated hours on the weekend. The center includes a variety of pools such as a lap pool and a warm-water-therapy pool. Members use the center to maintain their fitness and to help them recover from illness. The hospital is also affiliated with the Greenbriar Treatment Center, one of the top chemical-dependency centers in Western Pennsylvania. Greenbriar includes a residential program, two half-way houses, and seven outpatient centers located throughout Washington, Westmoreland, and Allegheny Counties. Excela Health, based in Greensburg, Pa., is the regional leader in delivering high quality, cost-effective health care to more than 350,000 residents of Westmoreland, northern Fayette and southern Indiana counties. Excela Health provides care across the spectrum: From prevention and wellness to emergency care, acute care, outpatient care, rehabilitation, home care, hospice and medical supplies/equipment in a range of locations including three hospitals – Frick Hospital in Mount Pleasant, Latrobe Hospital in Latrobe, and Westmoreland Hospital in Greensburg; outpatient rehabilitation centers; QuikDraw and QuikDraw Plus sites for blood work and imaging; an integrated medical group of more than 300 providers in 72 physician office locations; two freestanding surgery centers; Family Medicine Residency program, and the Excela School of Anesthesia. To make health care more accessible to our communities, we continue to offer medical services under one roof, called “Excela Squares”, so that seeking care is a “one-stop shopping” experience. At our Excela Squares, people find an array of services including outpatient blood work and x-ray, outpatient rehabilitation, primary and specialty physicians’ care, and more close to home. These locations include Excela Square at Ligonier, Excela Square at Latrobe, Excela Square at Frick (Mount Pleasant), and Excela Square at Norwin (North Huntingdon). All care and consideration, however, is in tune with our mission of “Improving the health and well-being of every life we touch”. Well-established in our region, our hospitals collectively have been caring for patients for more than 300 years. And, we take the role of corporate citizen seriously, partnering with community organizations to spread the word about various health issues, giving our time and talents to neighborhood causes, and supporting the efforts of area health-related groups and others whose mission meshes with our own. The completion of Excela Square at Latrobe, a 115,000 square foot medical complex just off U.S. Route 30 in Unity Township. The $40 million project offers varied services including primary and specialty care physician offices, outpatient rehabilitation, routine blood work and imaging, all under one roof. It also features a community education facility, outdoor walking track, high tech exam rooms, and is the new home for the Excela Health Latrobe Family Medicine Residency. Expansion of the Excela Advanced Pain Center to Excela Square at Latrobe in addition to the Excela Square at Norwin, North Huntingdon location. Expansion of the Excela WORKS Occupational Medicine, offered at Excela Square at Norwin, North Huntingdon and now in Latrobe, Pa. The completion of the Westmoreland Hospital Intensive Care Unit renovation project featuring state-of-the art monitoring, upgrades in technology, nurses station and patient rooms in the Intensive Care area, and an expansive waiting room for family. The renovation represents a $15 million capital investment with state-of-the art improvements. Completion of Phase Two of a five-year renovation project at the Frick Hospital campus, which has become known as Excela Square at Frick. This second phase features an enhanced main entrance and lobby area and café along with enhancement of outpatient diagnostics with rapid entry. Renovation of the second and third floor also allowed for the addition of medical/surgical specialties such as cardiology, the pacemaker clinic and others. Acquisition of an innovative new system that uses right eye-tracking technology to help detect concussions and monitor patient recovery. The system is from the RightEye LLC, a health technology company using eye tracking to revolutionize vision performance and patient care. Excela Health became the first health system in Pennsylvania to utilize eye-tracking technology as part of its concussion protocol, joining the ranks of many professional sports teams, leading sports health physicians and vision care centers across the nation. In addition to this technology, Excela Health also offers Right Eye Performance Vision as part of the sports evaluation and training services provided to patients and the local school community. To learn more about Excela Health, visit our web site, www.excelahealth.org or contact our Call Center toll free, 1-877-771-1234. Highmark Inc. and its health insurance subsidiaries and affiliates collectively are one of America’s largest health insurance organizationsand together with its Blue-branded affiliates, collectively comprise the third-largest overall Blue Cross and Blue Shield-affiliated organization in the country based on capital. Highmark Inc. and its affiliates operate health insurance plans in Pennsylvania, Delaware and West Virginia that serve approximately 4.6 million members and hundreds of thousands of additional individuals through the BlueCard® program. Its diversified businesses serve group customer and individual needs across the United States through dental insurance, vision care and other related businesses. Highmark Inc. is an independent licensee of the Blue Cross and Blue Shield Association, an association of independent Blue Cross and Blue Shield companies. For more information, visit www.highmark.com. 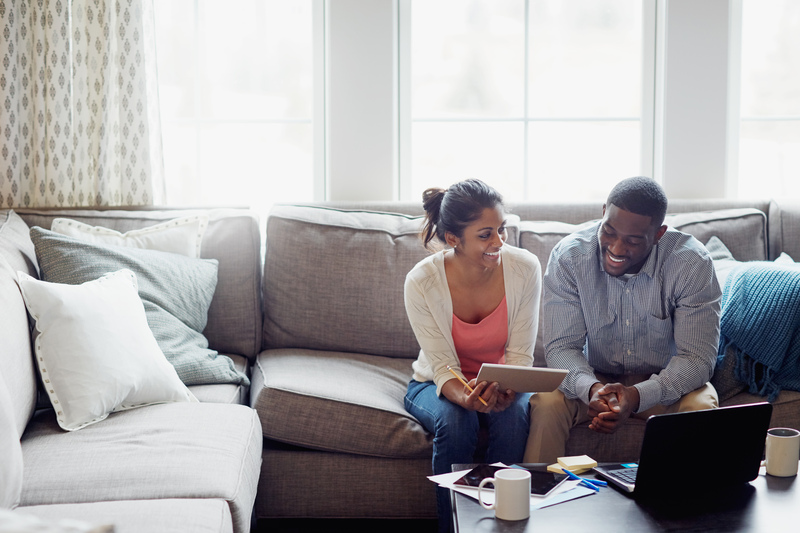 As people continue to take a more active role in choosing their health insurance and managing their health care, Highmark knows it is important to provide them the appropriate tools and information to help them make well-informed decisions. The Highmark Direct retail stores are the most visible aspect of Highmark’s commitment to customers. We opened Pennsylvania’s first health insurance stores in 2009. The stores provide a resource of health insurance information for individuals, seniors and small businesses. Staff members at the Highmark Direct stores are trained to walk people through Highmark’s insurance products and services so customers can determine the best coverage options for themselves and their families. For the purchase of something as important as health insurance – which can be confusing for almost anybody – people like being able to have personal interaction as they go through the process of learning about and buying coverage. Seniors are able to visit the stores for informational seminars, where they can learn more about their Medicare coverage as well as supplemental insurance needs. And even people who are already Highmark members can gather important information about how they can better manage their health through Highmark’s wellness programs. The Highmark Direct stores provide in-person consultations with insurance experts who can discuss options and provide assistance in applying for and purchasing coverage. This kind of personal consultation can be invaluable for people buying health insurance for the first time or who do not have employer-sponsored health coverage, such as those who are self-employed or between jobs. Visit one of our 11 convenient store locations for one-on-one discussions focused on your specific health insurance and health care needs. 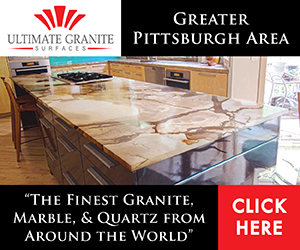 Go to https://www.highmarkdirect.com/store-locations to locate a store near you and to make an appointment. At UPMC Insurance Services Division, we seek to offer the highest quality and value to our members and our community. As part of the UPMC family, we work closely with world-class hospitals, physicians, and researchers at UPMC, and with community provider-partners across our service area, to deliver award-winning health care products, programs, and services. And we seek to do all this with a personal touch, helping individual members and their families enjoy the best possible health and quality of life. We continually analyze and improve our products, programs, and services based on our customers’ needs and the most current research. This enables us to bring to the marketplace innovative health care offerings along with the advantages customers want from a health plan: quality, choice, access, service, and value. Our commitment is to provide these advantages to every customer. UPMC, our parent company, is an integrated global health enterprise. In 2012, UPMC was the only medical center in Western Pennsylvania to be named to the U.S. News & World Report Honor Roll of America’s Best Hospitals. UPMC ranked 10th in a national field of nearly 5,000 eligible hospitals. All of our health plans are highly ranked nationally. We maintain “Excellent” NCQA accreditation for our Commercial HMO/ POS, Commercial PPO, Medicaid, Medicare Advantage, and Medicare PPO plans. Our award-winning wellness and disease management programs are developed by UPMC experts in the fields of exercise, nutrition, and chronic care, and incorporate the latest research findings, best-practice preventive care, and disease management protocols. Our provider network includes the worldclass tertiary and specialty hospitals of UPMC, as well as quality community hospitals, physician practices, and many other types of facilities. Our network has more than 125 hospitals and 15,000 clinicians, including some 11,500 physicians. To find out more about UPMC Health Plan, visit www.upmchealthplan.com. Aetna offers Health Maintenance Organization (HMO), High Deductible Preferred Provider Organization (PPO), Preferred Provider Organization (PPO), Preferred Provider Organization Value (PPO), and Preventive and Hospital Care. The HMO is a network of doctors, hospitals, health care providers and pharmacies that offers medical treatment at a reduced cost to members. This type of coverage is often some of the most affordable health insurance a person can buy in Pennsylvania. Some health insurance shoppers want a plan with a higher deductible that allows them to pay a lower monthly premium or to pair a deductible plan from Aetna because the plan qualifies to be paired with a tax advantaged Health Savings Account (HSA). Health-insurance shoppers who enroll in an Aetna PPO plan or PPO Plan Value enjoy access to a network of preferred providers that includes family doctors, hospitals, and specialists. They need not select a primary care physician (PCP) and need no referrals to see the providers in the network. Unlike HMO insurance networks,PPO plans from Aetna include two levels of coverage. Participants have one set of benefits for care received from providers within the network, and another for care received outside the network. A PPO plan pays for more of insureds’ health-care bills when they receive care within the preferred network. Aetna’s Preventive and Hospital Plan is a limited insurance plan that offers affordable, monthly, plan premiums. Well-suited to people who use only basic health care services, this plan allows the freedom to go directly to almost any recognized health-care professionals, including specialists, for covered expenses. Typically, insureds have a choice of annual deductible levels that allow them to have greater control over out-of-pocket expenses. Although this type of plan also increases affordability by offering a narrower scope of benefits than other major medical plans, these plans should not be confused with the type of catastrophic or bare bones health insurance available elsewhere. United Health One offers copay plans that give insureds the security of a predictable, fixed payment for each medical-care office visit, and high-deductible health plans that can save money and help protect against the cost of a catastrophic injury or long hospital stays. The company’s health savings account plans (HSA) provide tax-advantages, with competitive interest rates on HSA accounts. And Short Term MedicalSM Plans offer gap coverage for in-between times, such as when someone is a new college grad in between employment or waiting for new employer sponsored benefits to begin. United’s dental plans and vision plans can be added to one’s personal, health insurance plan or purchased by themselves. And UH continuity is a new, innovative benefit that insureds add to their personal health insurance. This coverage allows them to turn off coverage when they have group insurance and turn coverage back on when they need it at a later time. HealthAmerica has served Pennsylvania for over 35 years. Listed among the country’s top 20 health plans in the U.S.News/NCQA America’s Best Health Insurance Plans list, HealthAmerica has provided health-benefit solutions to employers across Pennsylvania. The company offers a broad range of traditional and consumer-directed health insurance products, including managed care, self-funded, Medicare, indemnity, nongroup, and pharmacy plans. HealthAmerica has corporate offices in Pittsburgh and Harrisburg, Pennsylvania, and serves 11,000 businesses and more than 500,000 members in Pennsylvania and Ohio. The company offers progressive medical management, innovative wellness, programs, and statewide and national provider networks. HealthAmerica’s HMO, POS, and Medicare Advantage plans have ranked among the top 50, best health plans in the U.S. News/ NCQA “America’s Best Health Plans” list every year since 2005. These plans currently have “Excellent” accreditation by the National Committee for Quality Assurance. Plan Members get access to information and resources that help them make the most of their plans. By registering for My Online Services™ members manage spending accounts and claims, research doctors and hospital quality information, and send and receive secure messages from HealthAmerica’s customer service. Providers enroll in directprovider.com for access to member eligibility and benefits, claims, remittance advice, authorizations, a resource library, provider news, and secure messaging. Employers administer their companies’ health plans through Online Account Management™ that offers secure, password-protected service features. A dedicated Net Support Team stands by via a toll-free phone number to assist with HealthAmerica’s online services.